Everyone gets unmotivated from time to time. There are just some days when it’s difficult to get out of bed, have a productive day at work, or stay on top of responsibilities. Newly recovering individuals can’t beat themselves up for days when they feel unmotivated. It’s quite normal. The difference being that most people snap out of it. A good night’s rest, a mental health day off work, or some good old fashioned R&R is enough to get the average person out of their funk. However, individuals in recovery don’t have the same freedom. A couple days feeling down and unmotivated can trigger relapse. Motivation is something that influences what one thinks, feels, and does. Everyone has different motivators. What led one individual to addiction and to recovery may be completely different for another individual. This is why individuals need to think about their personal reasons for staying sober. Once identified, they can become an important part of the individual’s life. Motivators can be thoughts, physical feelings, emotions, situations, and behaviors. 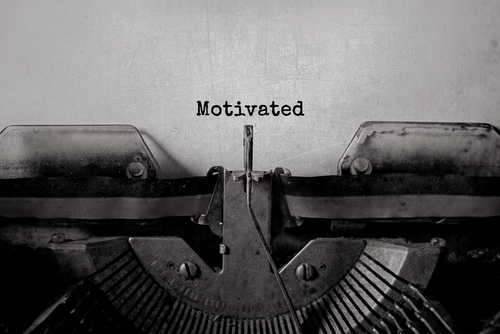 So how can the individual stay motivated in recovery? There will be days when the feelings of “What am I doing this for?” kick in. The individual feels hopeless. Nothing is going according to plan. This is when they need to look back at their motivators and remember why they are doing this. When the individual feels discouraged, they should think about a motivator. Envision it. Make the experience detailed and personal. Make the motivator come alive. You have to maintain a steady course through the storm of addiction recovery and the best compass is a rock solid reason why. It’s easy to feel overwhelmed, especially in early recovery, so it’s recommended to make a list of how the individual plans to reach their main goals. Does the patient want to be a better parent? Then they should write down specifics on how they can achieve that. Maybe it means calling their children every day, or showing up to that family dinner, or sending a birthday card. By doing this, the individual can focus on some of the smaller, easier ways to be a good parent and reap the benefits of feeling successful and accomplished. The same is true of maintaining sobriety. Break down your prime motivators into achievable actions toward that end. A good way to give some gravitas to motivators is to get others involved, such as asking family and friends what motivations they have for the individual. Ask those in self-help groups to share their motivators. The individual can also ask their sponsor for the things that motivated them during early recovery. The more motivators one has, the more reasons there are to stay clean and sober. Hired Power is here to help you and your family bring recovery home. Our recovery services are designed to take care of the details so you can focus on healing. For more information, call us today at 1 800-910-9299.